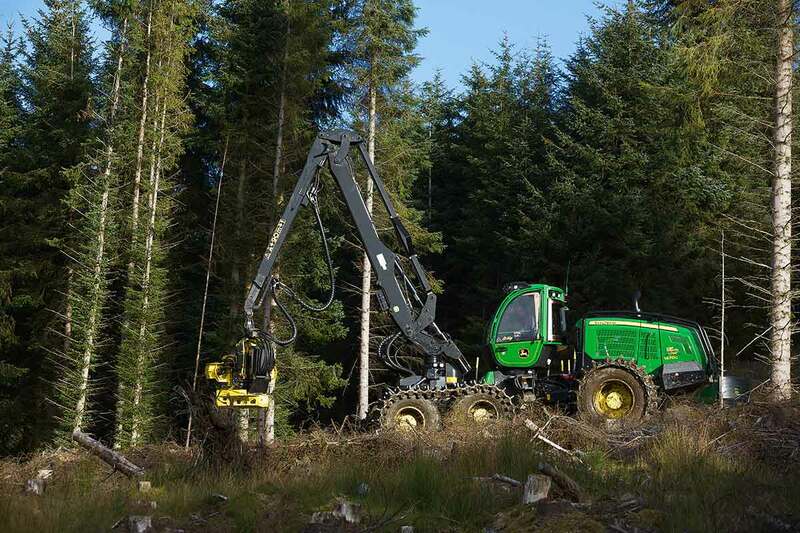 Forestry is an important part of Bolfracks estate with over 1,137 Ha of commercial, amenity and hardwood plantations as well as birch and hardwood plantations for specialist uses. The long term aim of the estate is produce quality joinery timbers in small quantities from the for the birch and hardwood plantations. 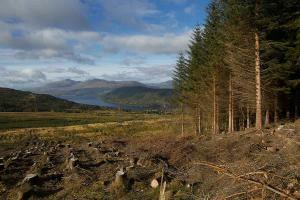 The Conifer plantations are used in the supply of building materials, fencing. The logs are used for carcassing timber, i.e. kit built, timber frame houses. Small logs for pallet wood. The tree tops are used for paper pulp and chipboard. The other small round wood is chipped for wood fuel. Wood Chip - Bolfracks supplies of wood chip to cater for the growing demand of green energy friendly fuels. 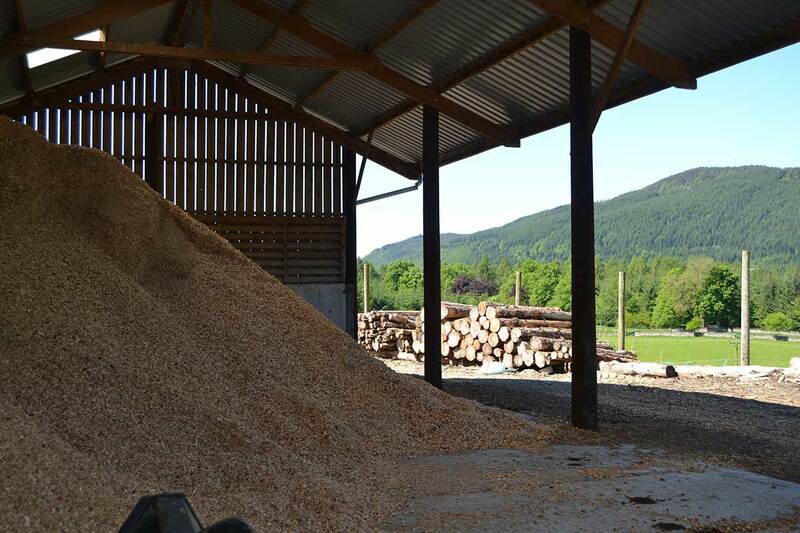 Wood chip is considered a carbon neutral fuel as the wood that is burnt is replaced by new trees that will act as a carbon sink, absorbing carbon dioxide in the years ahead. Bolfracks purchased a wood chipper in 2006. The chip drying and storage shed for 1500 tonnes will be built in the summer of 2007. The dry wood chips to be available for sale from the winter of 2007. Birch and hardwood plantations - The Birch, Ash, Cherry, Sycamore plantations have been planted with the assistance of the Forestry Commission Scotland, who use the woodlands occasionally as demonstration plots. The benefit of the product is the straightness of the wood, which can be sold for use in specialist flooring and panelling products. Timber machinery - Bolfracks has it own Timberjack forwarder specialist timber vehicle allowing the estate to cut load and stack the timber ready for the external hauliers to transport. Currently the estate cuts up to 3000 tonnes annually as thinnings and in most years, at least the same again as clear fell. Originally Bolfracks Hill planted with larch and pine in 19 th century. It was felled between 1914 to 1938. J.D Hutchinson restocked all original plantations from 1950 to 1980. 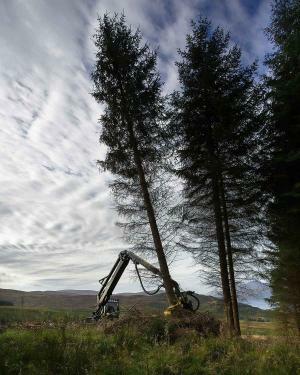 Felling of 1950s planting commenced in 1990 with regular felling and re stock ever since. 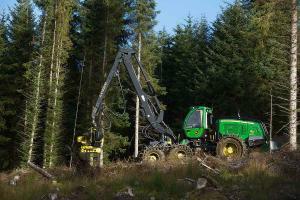 The Bolfracks woodland area has been increased by 400 Ha since 1988 when UK Forestry Policy changed. 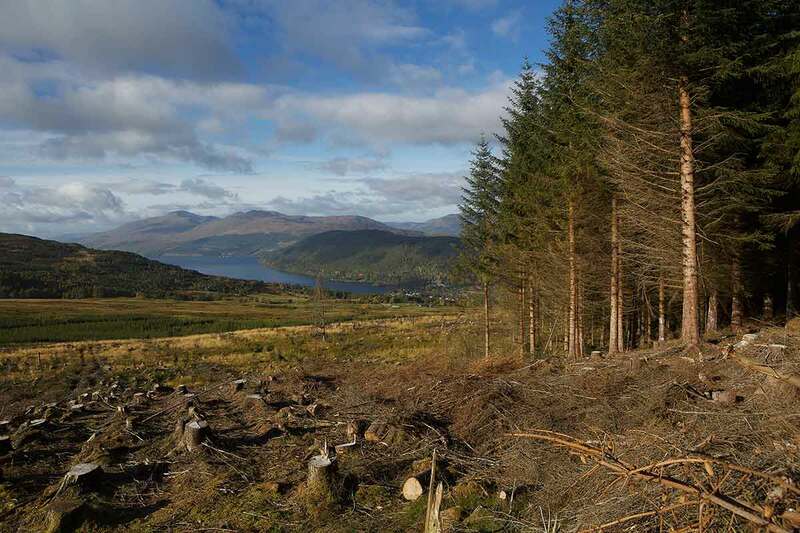 The long term future plan in place with Forestry Commission Scotland when all tree felling and planting is allowed to take place up to 2025 without further consultation. 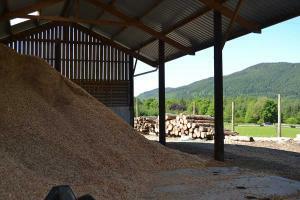 All Bolfracks timber is certified by FSC, with an Annual audit inspection.